NEED DIRECTIONS TO THE PIER? 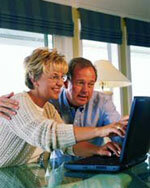 Make sure you protect your investment with travel insurance. Travel insurance can provide you coverage for medical expenses, trip interruption/cancellation, baggage damage, and much more. 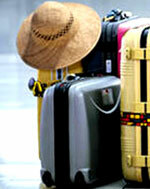 Travel Guard International is the industry's leading travel insurance provider. Effective December 31, 2006, the U. S. Government's Intelligent Reform and Terrorism Prevention Act requires passports for all air and sea travel. What does this mean to cruise passengers? Based on the Cruise Lines' interpretation of the Department of Homeland Security information, a passport will be required for anyone to enter or re-enter the United States effective January 2008. 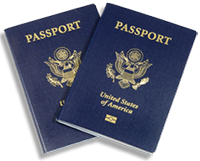 For updated information or to obtain information on how to get or renew a passport, please use the link provided below. View your reservation online and expedite your check-in by registering in advance of your cruise. Completing the online check-in process for all guests in your reservation will save you from having to hassle with numerous forms at the pier, which means your cruise vacation adventure can start right away when you arrive at the ship. And not only does this expedite your check-in process for the cruise line, it also satisfies the Department of Homeland Security requirements. Booking your shore excursions is as simple as clicking your mouse. Reserve your shore excursions before you ever leave home and avoid disappointment from sold out excursions. And no waiting in line at the excursion desk! Relax knowing that what you want to do in port is already arranged. Bon Voyage Cruises makes it easier than ever to get to the pier. We have put together a list of every major US cruise port and directions to that pier. If you are flying in conjunction with your cruise, make your time at the airport more enjoyable by knowing in advance what to expect. The Transportation Security Administration (TSA) periodically revises its rules regarding what is and is not allowed onboard airplanes. Read the latest revision by visiting their website. Also, Bon Voyage Cruises suggests that you visit the website or contact the specific airline on which you will be flying regarding any other rules and regulations you might need to know before you fly. The recent news stories regarding norovirus incidents aboard cruise ships may cause some of you to be concerned about vacationing at sea. There are numerous incidents of norovirus across the country, but the reason you hear about it with regard to cruise ships is because they are the only ones required to report gastrointestinal illness to the Centers for Disease Control (CDC). 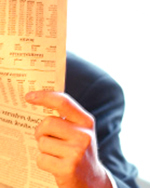 Hotels don�t have to report it. Neither do airlines, universities or hospitals! 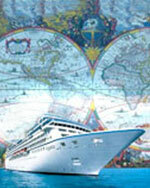 Cruise Lines International Association (CLIA) has prepared this latest norovirus information. Included are the procedures that cruise lines are taking plus preventative measures you can take to stay healthy while enjoying your cruise vacation.